FRANKFURT -- German industrial and technology group Thyssenkrupp said first-quarter operating profit rose by more than a third, boosted by a recovery at its steel unit, which is to be merged with Tata Steel's European operations. Operating profit at Thyssenkrupp's Steel Europe division rose nearly sixfold to 160 million euros ($198 million) due to improved prices that also led Tata Steel and market leader ArcelorMittal to post strong results in recent weeks. In a bid to tackle excess capacity which it said remained a problem in the volatile sector, Thyssenkrupp agreed in September to combine its European steel unit with that of India's Tata Steel to create the continent's No. 2 player. "The market environment remains extremely challenging structurally, with continuing global overcapacities, risks from trade imbalances and highly volatile raw material prices," Thyssenkrupp said in its quarterly report on Wednesday. Thyssenkrupp said it still expected the signing of the joint venture contract in early 2018, marking the biggest step so far in CEO Heinrich Hiesinger's efforts to shift the group's focus towards technology and away from steel. Most famous for its steel business, which has roots going back more than 200 years, Thyssenkrupp is active in several industrial fields and makes everything from elevators and submarines to car parts and chemical plants. Thyssenkrupp stuck to its full-year outlook for adjusted earnings before interest and tax of 1.8 billion to 2.0 billion euros. 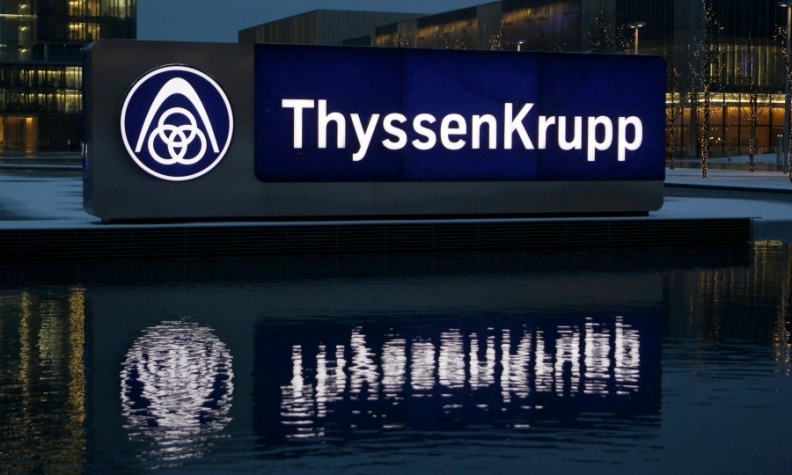 Some investors, most notably Thyssenkrupp's second-largest shareholder Cevian, have called for a further restructuring, saying Thyssenkrupp's conglomerate structure is not creating sufficient value. The group's shares have shed more than 8 percent since the steel joint venture was announced, compared with a 1 percent decline in the STOXX Europe 600 Industrial Goods and Services index. Rival ArcelorMittal's shares are up by a fifth. Once approved by the boards and regulators, investors expect a flotation of the joint venture as well as a potential sale of Materials Services, Thyssenkrupp's materials distribution and trading division.